Are you looking for TNPSC Group IIA Mathematics Model Questions Solved? In this post, we have given some model questions and answers published by Dinamalar newspaper dated 28th July 2017. 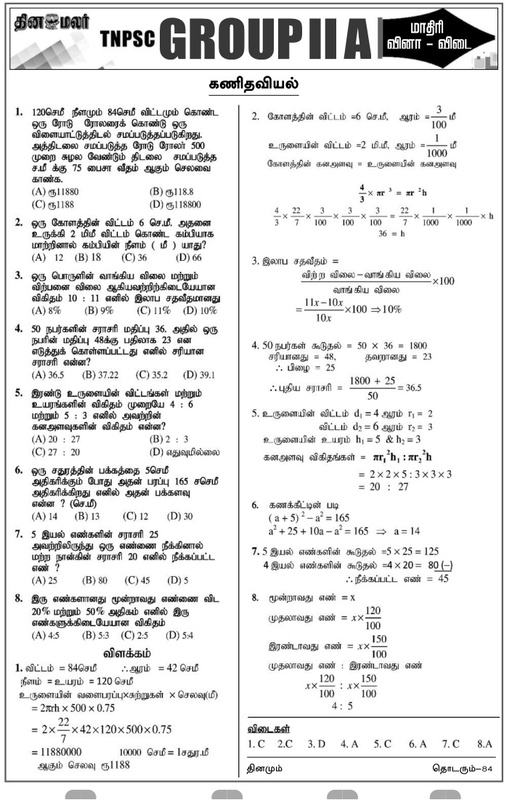 Check out the image provided below and download it for your TNPSC exam preparation.